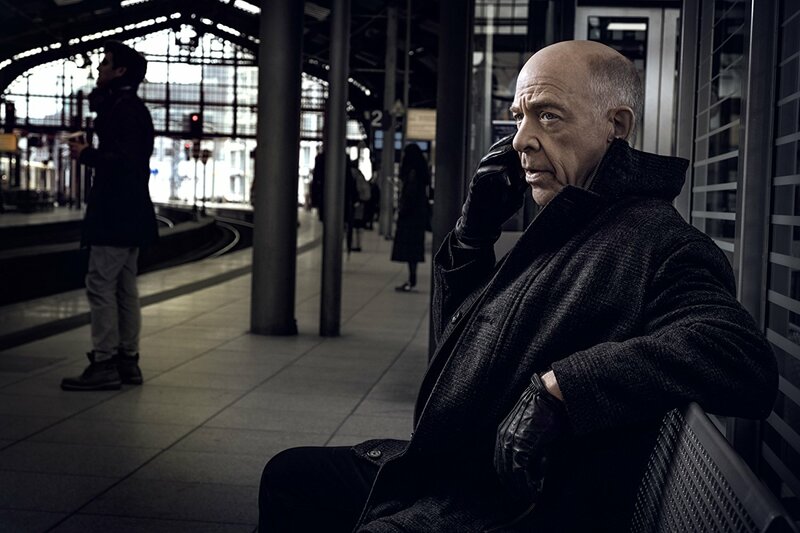 Premiering on Jan. 21 on the Starz network, Counterpart is a new, highly bingeable TV series that stars J.K. Simmons as Howard Silk, a UN employee who discovers the agency he works for is hiding a gateway to a parallel dimension. Dark, mysterious and set in Berlin, the show reveals that Howard has a doppelgänger – or counterpart – living in that alternate dimension. I sat down with the show’s writer/creator Justin Marks (The Jungle Book) and producer Jordan Horowitz, whom you may remember as the man who revealed on live television that Moonlight – not La La Land – was the winner of Best Picture at last year’s Oscars. In my interview, Marks explores the Jungian notion of the “Shadow Self” and reveals what it’s like to write two versions of the same character – Howard and Howard Prime. In addition to writing Counterpart, Marks is also penning the script for the Top Gun sequel so I asked him what he can tell us about it. Spoiler alert: not much. 1 Reply to "Video: Counterpart creator talks about new J.K. Simmons show"
//As a drama//, this could be a fantastic piece of storytelling. But, as with all stories about parallel universes or dimensions, it suffers from an inability to explain how “the other” can be identical in //almost// all ways, except those the writers are interested in. (Consider Star Trek’s “mirror universe”, in which the Federation’s equivalent is, by our standards, evil.) If nothing else, random events would eventually cause the realities to diverge. Hopefully, the writers will have the sense to ignore the matter altogether.